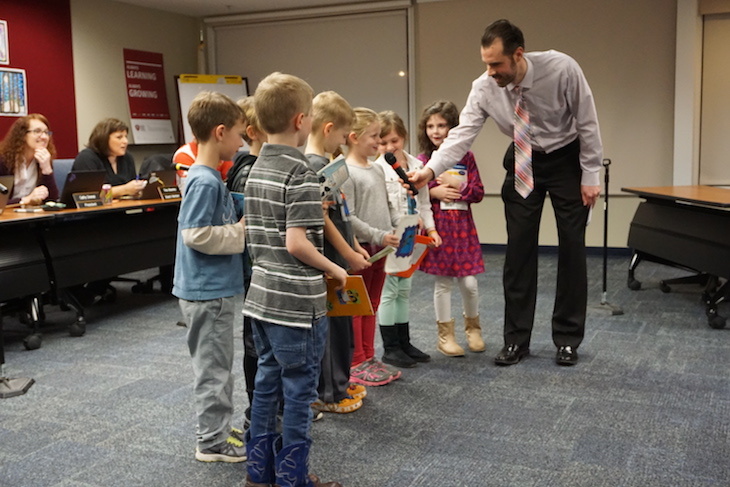 The following is a brief recap of the Tues., Feb. 21, 2017, BPS101 Regular Board Meeting. View the agenda and all supporting documents from this meeting and minutes from previous meetings. View BATV’s recording of this meeting. 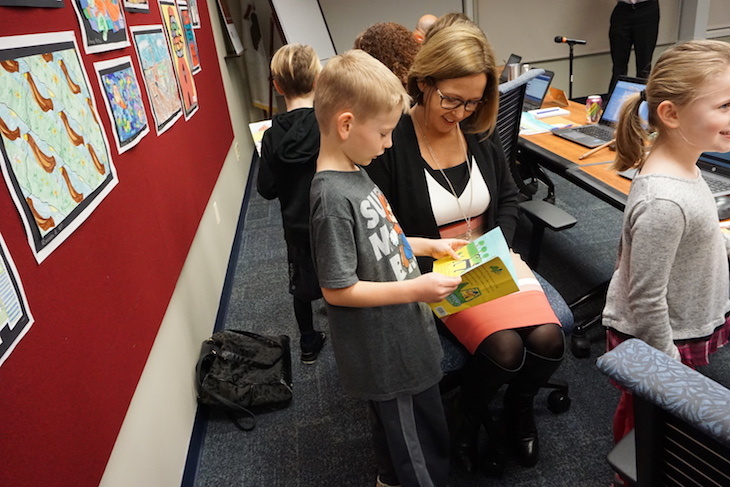 Seven first-grade students from Grace McWayne Elementary School shared their favorite book and read it to Board Members to showcase their reading skills. GMS Principal Jeff Modaff led the celebration, and it was terrific! 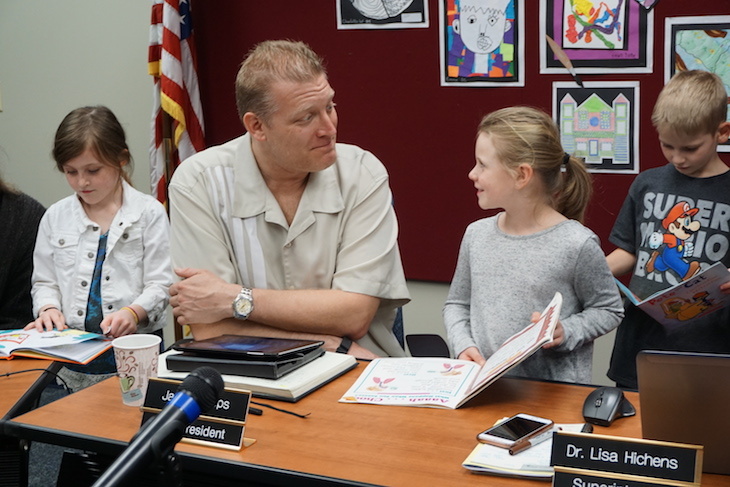 Board of Education Student Ambassadors Addie Bobosky, senior, and Justin Chu, junior, reported on feedback gathered from focus groups that they facilitated during lunch at BHS. How can Batavia High School spread information and awareness about mental health and services available for students? Are you comfortable talking with a BHS faculty member about mental health issues? 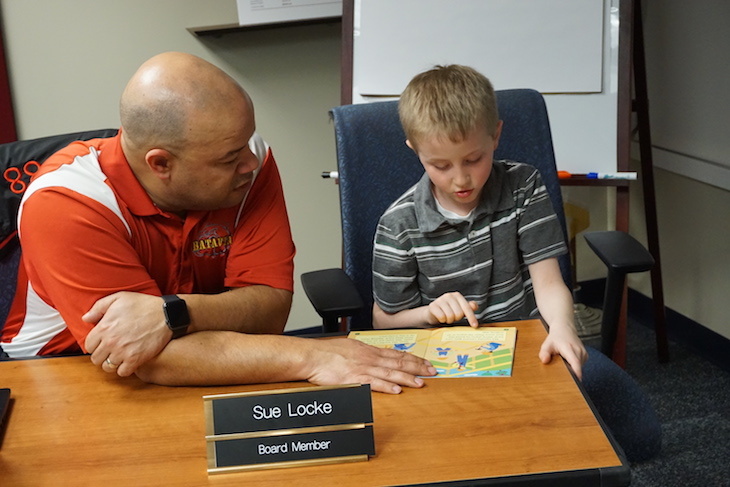 How accessible are teachers for academic help? Do you feel you can get involved at BHS? Mental health issue information is best shared through morning announcements, school posters, and BHS social media channels. Students in general don’t feel comfortable talking with faculty members about mental health issues. Addie mentioned that more information, particularly during freshman orientation, about the role of BHS counselors and social workers would be helpful to students. The is some student confusion over Bulldog Time, which is the last 30 minutes of every block on Wednesdays. Some BHS students in the focus groups said they didn’t know how that time should be used and some felt that their teachers were teaching through it vs. allowing 30 minutes for remediation, extra help from the teacher, or supplemental work. Both Addie and Justin said they appreciate Bulldog Time and find it helpful. Students appreciate the new BHS career counselor’s (Angela Molloy) e-mails to students about internships, clubs, and activities, and say that it’s keeping them up to date on new opportunities. More information about honor societies should be provided to freshmen and sophomores so that there is an understanding of their benefits and the need for good grades early on. Addie and Justin said that a Google Form has now been created for all BHS students to provide their feedback 24/7 to the Principal Student Advisory Team. 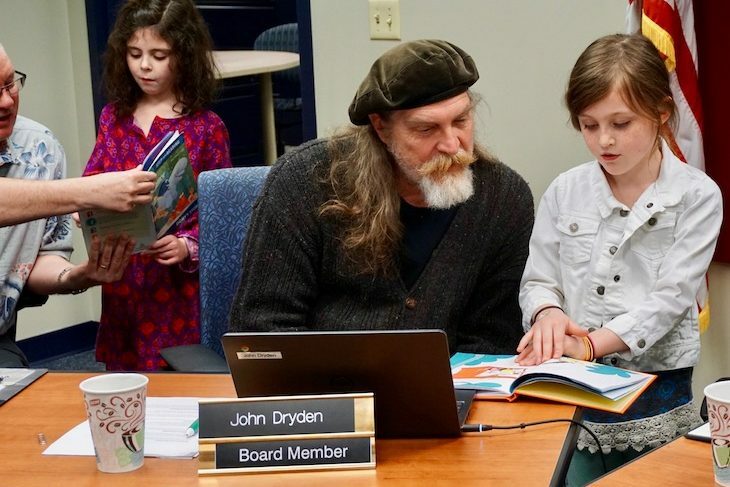 Each year, the District engages in a planning process to identify, prioritize, and finance the maintenance and improvement of facilities and assets. 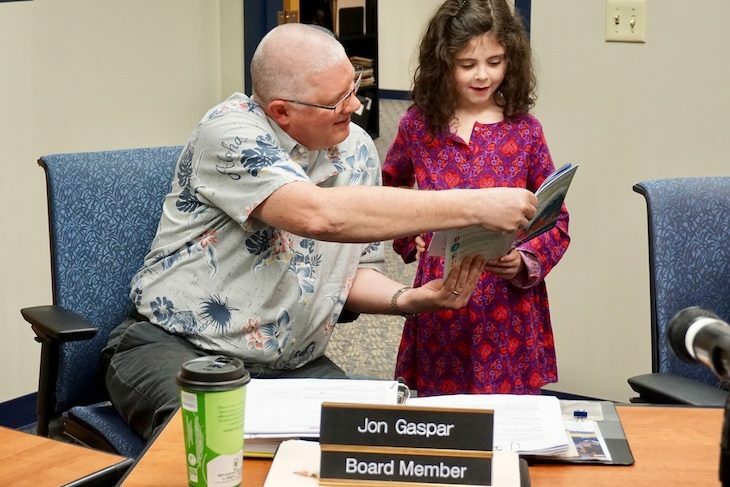 This year, Mark Anderson, BPS101 Director of Buildings and Grounds, led the discussion, walking Board Members through the fiscal years 2018-2021 Capital Projects Plan. At the end of the discussion, Board Members recommended and directed Administration to implement the plan and integrate it into the budget for fiscal year 2018. 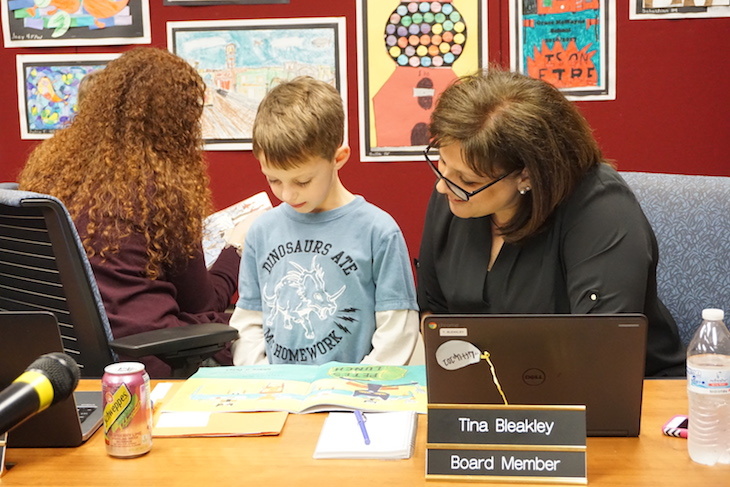 Board members voted 5-1 to approve a resolution that sets the maximum allowable reimbursement for BPS101 employee travel, meal, and lodging expenses to an amount not to exceed $500 per day, inclusive of the first and last day of travel. This resolution goes into effect on March 2, 2017. 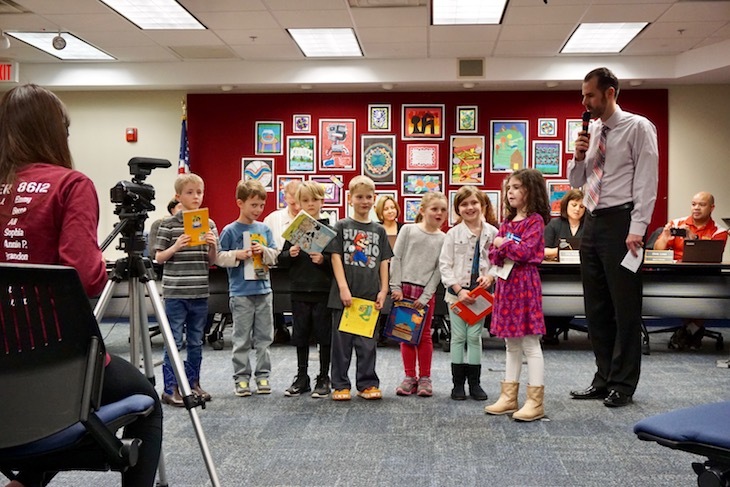 The Board approved changes to the collection of policies and exhibits from sections 4 and 5. Tues., March 21, 7 p.m.